The full report is available now in English and Spanish at bit.ly/NCundercount. RALEIGH, NC – Nearly 300 federal programs that provide support to families rely on data derived from the U.S. Census, which is conducted every 10 years. In North Carolina alone, more than $16 billion annually in federal funding is dependent on an accurate count. These federal funds are used to support road construction, first responder services, school lunches, foster care, and other vital programs that North Carolina families depend on. 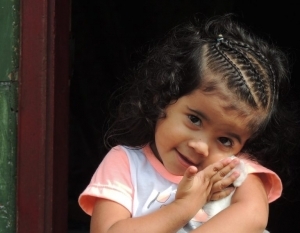 A new report from NC Child and NALEO Educational Fund, “The Statewide Implications of Undercounting Latino Children,” explores one of the major factors that could thwart a complete and accurate count of North Carolina residents and the distribution of critical funding for the state. The US Census Bureau should remove the question on citizenship in order to ensure a full and complete count of immigrant communities. North Carolina’s legislators will consider in 2019 whether to appropriate approximately $1.5 million for Census engagement efforts. The investments of funds now would help secure a full count of Latino children that would ensure the equitable distribution of political power and more than $100 billion in federal funds to North Carolina over the next 10 years. Individuals can get involved in Census efforts at census.nc.gov. The new report, “The Statewide Implications of Undercounting Latino Children,” is available now in English and Spanish at ncchild.org.